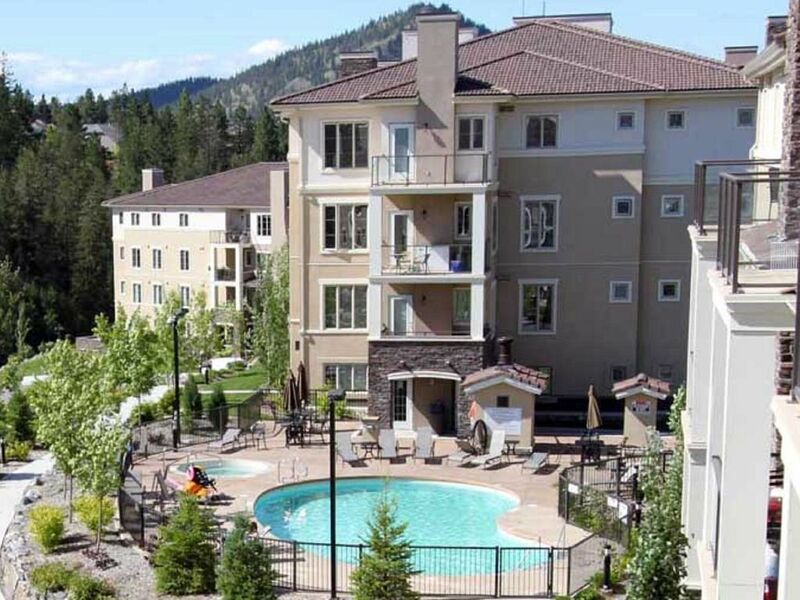 Our Unit is located at 1875 Country Club Drive in Kelowna, and it is sure to please anyone looking for high-end affordable accommodations. The suite is located on two championship golf courses known as the Bear and the Quail (the clubhouse is only a 5 min walk away). There are many more golf courses within minutes of the resort. The suite is also conveniently located near the University of British Columbia Okanagan and a short 20 minute drive to downtown Kelowna. This 1200 sq.ft. 3 Bedroom 2 Full Bathrooms suite has beautiful scenic views of the areas surrounding Quail Golf course. This unit is decorated, furnished and accessorized to the highest standards and features 3 bedrooms and 2 bathrooms. The master suite has a queen bed and a large ensuite bathroom. There is a flat screen TV in the master suite. The second bedroom features two twin beds that can be converted to a king upon request. This bedroom also features a flat screen TV. The third bedroom features a queen size bed and also has its own flat screen TV. The Living room/ dining room area is spacious with large windows making for a bright and cheerful atmosphere. There is nicely appointed furniture and decor throughout the living area which includes a flat screen TV. The dining space features a table with four chairs and there is also additional seating at the counter-height bar. Also included is a desk area and high-speed wireless internet (included). The suite features a deluxe kitchen with eating bar and comes fully outfitted with all the items you will need to feel totally at home. We have equipped the entire suite with everything you could need in order to provide you with optimum convenience so you can just start relaxing from the moment you arrive. There is a washer and dryer in-suite and we provide starter amenities such as paper products, soaps, laundry soap, garbage bags, household cleaning supplies, etc. The resort features a seasonal pool and hot tub as well as a fitness center. If you are looking for a truly exceptional suite in a great country golf course setting where nature is only steps away then you have found it here at the Pinnacle Pointe Golf Resort. Book early to avoid disappointment. Underground parking for one vehicle. Addt'l parking available. fully stocked with utensils, cutlery, dinnerware, pots, pans, baking sheets, baking dish, bowls, wine glasses, etc. Basically everything you will need for preparing and enjoying meals. Additional seats at counter height bar. Quiet golf course setting away from the hustle and bustle of the city. Kitchen and bathrooms had everything we needed. There was plenty of bathroom towels as well as pool towels for 8 people. Was nice to see some laundry pods and dryer sheets for our use. The patio was nice to sit on in the morning with your coffee and watch the sunrise. If you plan on staying here with another family (or more than 2 adults) I recommend you ask to have the twin beds put together for a king size bed, as the master bedroom is a gem compared to the other rooms (and one room does not have any windows). There is not a market or store within walking distance so that was the only downside to this stay. Other than that, Cindy was fabulous at making all of us feel welcome and comfortable. Would highly recommend this condo. We had a wonderful stay at Pinnacle Pointe. The condo was lovely and clean and well equipped. This was the first time we booked with VRBO and it was excellent. The process was simple and efficient. When we arrived to the condo everything was well laid out and the unit was spotless. Our family had a great time in the pool located on site. We would recommend this place to all. This apartment was the best equipped place we've ever rented. Lots of pots, pans, plates, cooking utensils - even good barbeque tools. It is an great space - very open living area. Beds were comfortable. Plenty of towels. The only complaint was the noise in the front bedroom. The guest who was sleeping in that room had difficulty sleeping because of the noise coming from the heating/air conditioning unit that is located in the room. If you need a place to stay near UBCO and Lake Country, this is the spot for you. Well equipped condo, very clean and a great location. We really enjoyed our stay. Very nice accommodation fit 6 adults and a child no problem. Clean, well furnished, comfortable. Nice pool and hot tub which we used. They also had a gym that we didn't use but it looked good. Lots of parking. Loading area near door to make unloading and loading very convenient. if i had any negative, i would say checkin of after 4pm and checkout of 10am could have been a little more generous but not a deal breaker. I am sure all of us would stay there again if needed. PAYMENT POLICY: Total payment for your booking is made via credit card in two separate payments: 1) Payment of 25% is due upon booking 2) Remaining 75% is due 60 days prior to check-in If full payment has not been received by 60 days prior to check-in, your reservation will be deemed cancelled. CANCELLATION POLICY : Guests who cancel their reservation prior to 60 days before check-in will be refunded in full. Guests who cancel their reservation between 30-60 days before check-in will be refunded 50% of the total amount paid. Guests who cancel their reservation within 30 days of check-in will forfeit all monies paid. Guests are encouraged to buy third party cancellation insurance if they have any concerns about the above cancellation policy. We will not be able to change the policy, even for extenuating circumstances.